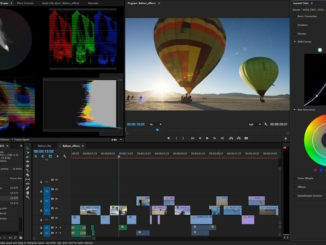 Right before NAB, Adobe has launched their annual Spring Update, which brings a over two hundred new video centric features, including a popular Photoshop tool that is coming to After Effects … Content Aware Fill. Larry Jordan will do a deep dive into many of these new features tomorrow, so stay tuned. Meanwhile, here’s the basics. 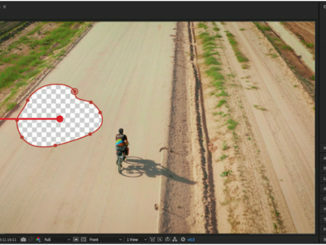 The new Content Aware Fill tool in After Effects harnesses power of artificial intelligence brought by Adobe Sensei to deploy the popular Photoshop tool, to the moving image. Originally developed under Adobe’s Project Cloak, Adobe After Effects can now automatically remove boom mics that wander into the frame, signs, logos, and even background elements like people who wander into the camera frame. The amount of workflow hours devoted to cleaning up an image can now be devoted to the creative process of crafting your story, rather than the serious manual labor or rotoscoping and masking. 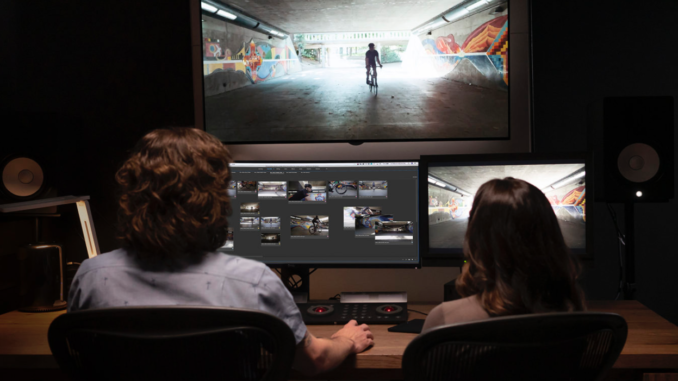 Meanwhile, over at Premiere Pro, Adobe offers the Freeform Project Panel, which will give editors the option of visually arranging their assets by such options as shot selects, production tasks, and even story ideas. Users can also put together assembly edits and experiment with them in the assets tab. Additionally, with Rulers and Guides, editors can automate their regular workflow by making it easier to create titles, animate effects, and do it from episode to episode with the same tone and style. There’s also improved mask tracking, for making better effects and color grading with pinpoint precision. Punch and Roll Audio Polish in Audition—Waveform and Multitrack longform recording, including voiceover and audiobook creators. Auto Ducking for Ambient Sounds Audition and Premiere Pro—Powered by Adobe Sensei, Auto ducking now allows for dynamic adjustments to ambient sounds against spoken dialog. Premiere Rush Integration – Built-in camera functionality in Premiere Rush helps you take pro-quality video on your mobile devices, and then integrate your footage into your desktop workflow. Improved titling tools – All your titling and graphics tools are in the Essential Graphics panel, plus new options like multiple strokes, stroke styling, and background fills. Replace font families in a Motion Graphics template with one click. Dedicated View menu – consolidates Program Monitor commands, such as magnification and playback performance and new Guides. Audio efficiency – User-requested improvements include the ability to re-order audio effects and to copy and paste effects across clips and projects. Performance improvements – include new 10-bit hardware decoding for smoother HEVC playback on Windows, faster hardware decoding for H.264 and HEVC on MacOS, and RED Metal acceleration. No More Red Frame Errors – Instead of replacing problem frames with red frames, they are now replaced with a copy of the adjacent frame. Shortcut support for non-English keyboards – Shortcuts are automatically mapped to non-English keyboards including German, Japanese, French, Chinese, Korean, Spanish, Russian, Italian, Portuguese, and Norwegian. Expanded format support – Import native Sony Venice V3 files and 32-bit AIFF audio media along with recently introduced support for ProRes Windows (13.0.2) and ProRes HDR (13.0.2). Adobe will also be showcasing their new update with a live interactive demo on April 4th with video evangelist Jason Levine. Sign up here. There will also be live demos at Adobe’s booth on the showroom floor at NAB. The Adobe Creative Cloud Spring Update is available now from Adobe.com. 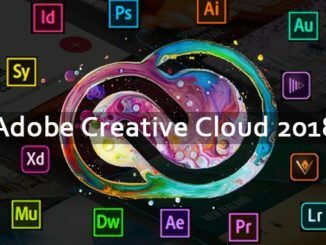 For more information on pricing, visit https://www.adobe.com/creativecloud/plans.html. Multiple subscription plans for Adobe Stock are available at https://stock.adobe.com/plans.